Click here to access the downloads. 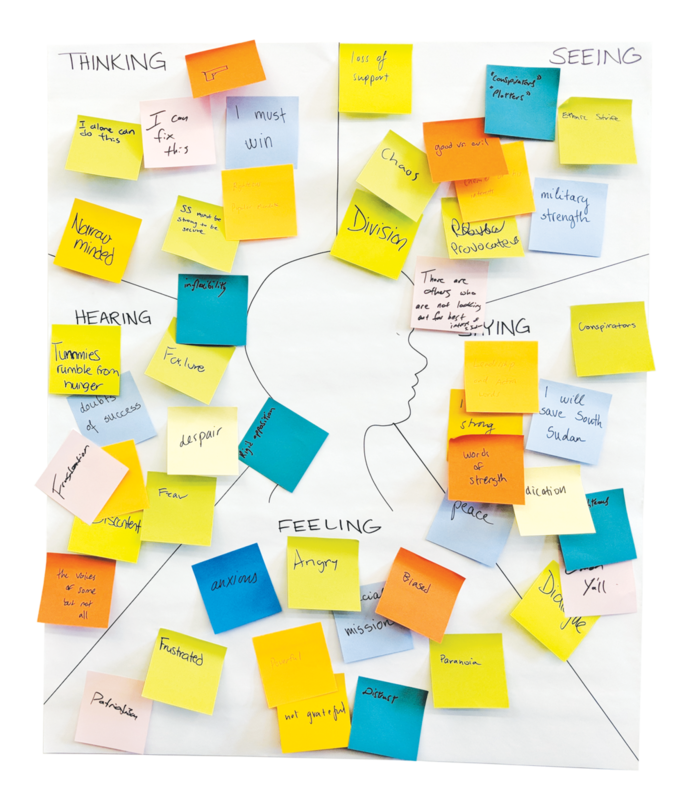 We use empathy mapping to help participants put themselves in someone else's shoes, to understand a situation from that person's point of view rather than simply feeling sympathy for their situation. It's a quick exercise that's useful for warming up our "empathy muscles" and moral imagination before thinking about problems in greater depth. It's also a visual reminder that people are at the center of all we do. The maps are divided into five categories: thinking, seeing, saying, feeling, and hearing. The exercise can be used individually or in a group. We're especially interested in recognizing possible contradictions—why might someone say something out loud that differs from what they feel or think? Did the group participants pull out conflicting reactions? How might the subject describe their sense of moral motivation in their own words? 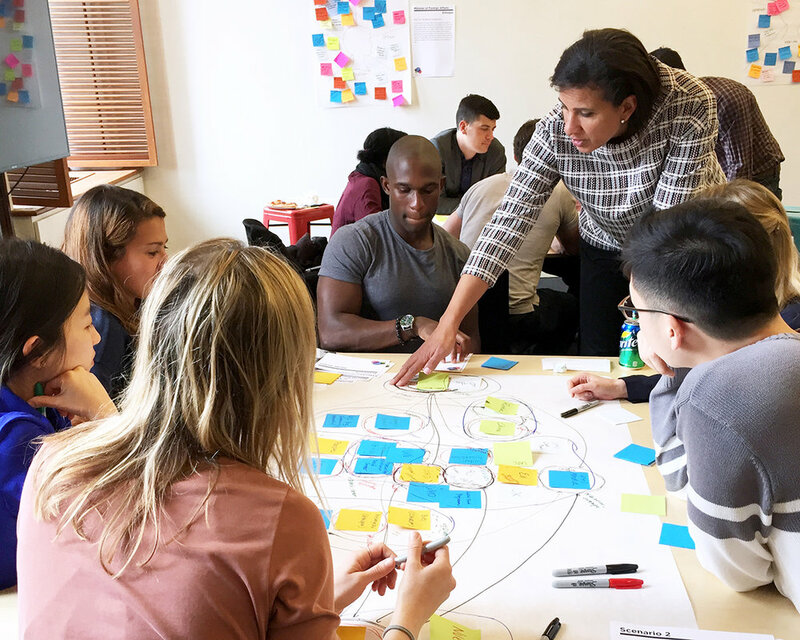 The Ethics Lab version of "stakeholder mapping" challenges teams to assess stakeholder relationships in value-based terms beyond the range of typical cost-benefit metrics. Mapping the moral landscape helps teams visualize relationships, so they can identify potential points of collaboration for effecting change. Ethics Lab's methodology maintains the design principle of "leaning to action." Following a process of discovery and definition, we use a variety of tools and exercises that help imagine how we might impact the existing moral landscape in new ways. These range from imagining a particular stakeholder's expressions for success, to using visual prototyping techniques for group collaboration on complex solutions. Essential to any of these activities is the visualization of the participant's thought process, the opportunity to collaborate in groups and generate feedback from others, and the promotion of the stakeholders' authentic perspectives throughout the process. Tried our tools? If you use or adapt these resources, please let us know! Hearing about your own experience in the classroom is incredibly important to us as we continue to develop our tools and approaches.